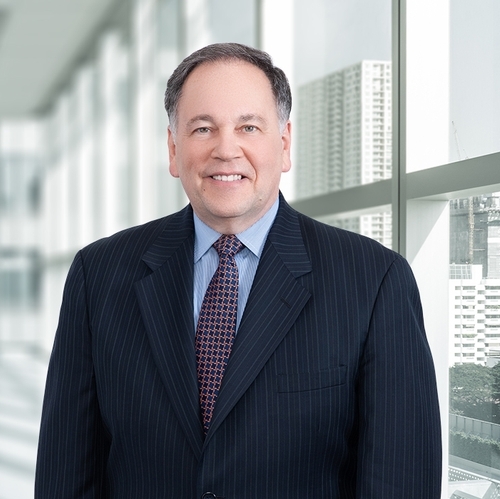 Steven S. Goldenberg, an attorney long recognized for shaping energy and public utility law and policy in New Jersey, has joined Giordano, Halleran & Ciesla, P.C.as a shareholder. Mr. Goldenberg has for many years played a leading role in representing a variety of clients in literally all matters of consequence convened by the Board of Public Utilities, including the restructuring of the electric and natural gas industries, utility rate cases, utility mergers, energy infrastructure proceedings and regulatory issues that impact ratepayers. Mr. Goldenberg will focus on fostering energy infrastructure public-private partnerships, microgrid and cogeneration projects, leveraging the firm’s deep expertise in environmental, real estate, land use, construction, government procurement and redevelopment law. Mr. Goldenberg founded and represents the New Jersey Large Energy Users Coalition, which is comprised of the state’s largest businesses, including pharmaceutical, chemical and manufacturing companies. He also founded and represents the New Jersey Distributed Generation Coalition, which is comprised of energy service companies, engineering companies, manufacturers and financial concerns. Other clients include independent power producers, energy marketers, energy service companies, hospitals and an independent transmission company involved with offshore wind development. “Steve’s move to our firm creates immense opportunities for synergies between his practice areas and our longstanding work in real estate, redevelopment and related industries,” said Michael J. Gross, co-managing shareholder. “His energy and public utilities practice will be a key component in much of our work,” added co-managing shareholder Paul T. Colella. Mr. Goldenberg is also a registered Governmental Affairs Agent (lobbyist) and represents clients before the Legislature, Governor’s Office and state administrative agencies regarding energy and procurement matters. Mr. Goldenberg served a seven-year tenure as Special Counsel to the BPU and its president, Christine Todd Whitman. He was a founding member of the Energy Master Plan Task Force of the National Association of Industrial and Office Parks (NAIOP) New Jersey chapter. Mr. Goldenberg is a frequent speaker on energy-related topics for business and professional organizations and is co-author of the book, Inside the Minds of Energy Lawyers: Winning Energy Law Strategies, which focuses on energy regulation. He earned his B.A. from the State University of New York at Oneonta in 1974, his M.P.A. from New York University in 1976 and his J.D. from Benjamin N. Cardozo School of Law in 1980. He has been listed in The Best Lawyers in America since 2001. Prior to his affiliation with GH&C, Mr. Goldenberg practiced energy and public utility law at several regional law firms. Giordano, Halleran & Ciesla, P.C., with offices in Red Bank, Trenton, New York City and Holmdel, is a multi-specialty law firm dedicated to providing sophisticated, comprehensive legal services and solutions. It offers experienced representation in a broad spectrum of practice areas, including corporate and business; creditors' rights and bankruptcy; environmental; healthcare; intellectual property and technology; labor and employment; litigation; real estate, land use and development; and trusts and estates. For more information, please visit www.ghclaw.com.